The National Union of Journalists (NUJ) has condemned regional newspaper publishers Newsquest and Trinity Mirror have increasingly relying on readers to submit their photos without payment. The NUJ is currently running the month long #useitpayforit campaign to encourage amateur photographers to charge “properly” for their work. 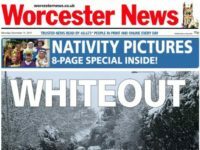 It adds that publishers Newsquest and Trinity Mirror have come to rely on amateurs and members of the public to submit their own photos without payment. Newsquest is accused of “actively seeking” to reduce its number of professional photographers by turning to amateur camera clubs and readers for the use of free images. The NUJ claims that members of camera clubs lose ownership of their images and the company can use the photos in anything from advertising to online new stories. For context, I spent £150 just last month to get to photograph Prince Charles. I spent 9+ hours standing in the rain, and editing, and traveling, for those pictures. It also said that Trinity Mirror has shed many of its staff photographers. In 2016, Press Gazette reported that the publisher told staff that professional pictures will only be taken where free content is unavailable or inappropriate. The #useitpayforit campaign aims to highlight how it has become “harder and harder” to make a living as an editorial photographer due to the scope of sharing images online and the wide use of free images used by publications. 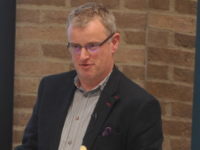 Responding to the claims made by the NUJ, editorial development director at Newsquest Toby Granville said: “Due to advancements in technology and smartphones, we employ less photographers than we did ten years ago – our reporters are now able to take high quality photographs and video themselves. “However, we still retain a photographer at most of our titles and Newsquest editors also have a significant freelance budget at their disposal. As has been the case for many years, we also accept submissions from the public. “More recently, we have also launched a community engagement initiative called the Camera Club – which tens of thousands of keen amateur photographers across the country have signed up to – and we award prizes and hold exhibitions in recognition of their contributions to our titles. A spokesperson for Johnston Press said: “We do of course use freelance photographic on our weekly titles and we manage the budget accordingly. “We receive a large number of unsolicited photographs from readers and organisations who are naturally very keen to see their work publicised for free and they like to see their names credited in our titles. Trinity Mirror declined to comment. NUJ members are asked to contact the Photographers’ Council of the union at photographer@nuj.org.uk if news organisations are offering low fees or not paying at all. More information can be found on the campaign homepage. Some years ago, before I joined the NUJ, a Newsquest local newspaper stolen my pictures from my web site about a hospital inpatient killed by police inside a hospital ward. BBC then used my video of the man’s cremation chapel service without my knowledge and without my agreement. The UK’s copyright laws should offer greater protection to those who lawful Rights are abused for commercial / business gain. A robust local press is the public’s only protection against the rampant, endemic and systemic sleaze and corruption in English local government. That is incompatible with parasitical American controlled organisations like Newsquest whose lust for cash is indecent. In reply to F. Harvey, I see your semantic point in that we are all members of the public. But not all members of the public are the same. Some members of the public are professional photographers, some are keen amateur photographers, and some people are simply occasional or casual photographers at a different level to the keen amateurs. The phrase “amateurs and members of the public” is a shorter version of your suggested phrase “ad hoc photographers who take pictures only occasionally and less habitually than professionals or committed hobbyists”, but is I think understood equally well.